New extraction methods have bolstered the United States oil industry, opening up new prospects for exportation. This reinvigoration was unanticipated half a decade ago, and foreign competitors such as Iran are looking to maintain their stronghold on global sourcing for petroleum products. In order to gain the upper hand, many industry participants are looking to reduce distribution costs in order to provide importers with cheaper options. 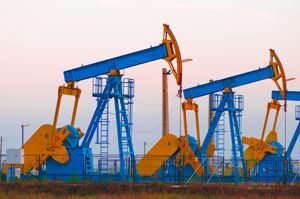 According to US News, the U.S. federal government has a number of restrictions in place that are hindering domestic oil producers from exporting their goods. Experts such as Kyle Isakower, vice president for regulatory and economic policy at the American Petroleum Institute, claimed that increased overseas shipping could bolster the American economy by creating new jobs and strengthening the nation's energy security. In addition, Isakower noted that gas prices may go down as a result. The Energy Department and the Federal Energy Regulatory Commission originally implemented exportation constraints in response to the Arab oil embargo of the early 1970s in an effort to burgeon the domestic oil procurement process. Now that the global political climate has largely shifted, the organizations may consider alleviating these restrictions in order to distribute more light petroleum products to European countries, which typically possess refineries equipped to process it. Paul Sullivan, a professor of economics at the National Defense University, noted that the region is largely reliant on Russia to meet its energy requirements, but that the relationship has become strained as of late. Andrew Critchlow, a contributor to The Telegraph, noted that Iran's Minister of Oil Bijan Zanganeh recently set a new output target of 5.7 million barrels of crude oil per day by 2018. In order to reach this goal, Critchlow stated that the country will have to obtain assistance from international oil companies, which are currently restricted from opening up new fields in Iran as a result of nationwide sanctions aimed at restricting the Iranian government's nuclear aspirations. Although these sanctions have been somewhat alleviated, Iran is only permitted to export an average of 1 million barrels per day under the regulations. If the embargo is lifted, contention between Tehran and D.C. may drive down the cost of oil across the globe. Many companies involved in either American or Iranian petroleum production may use procurement software in an effort to determine where shipping expenses could be reduced in order to remain competitive.